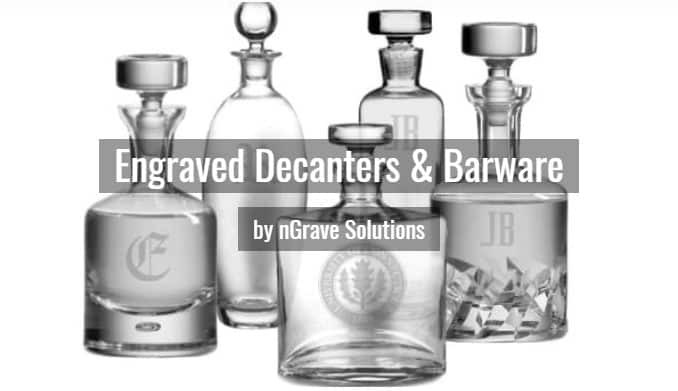 nGrave Solutions has been personalizing crystal product since 2009. 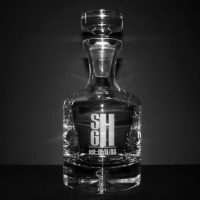 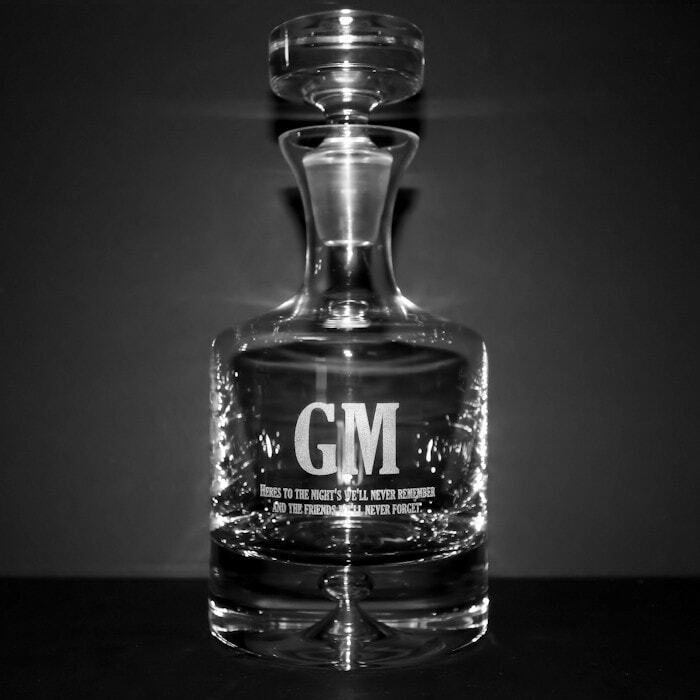 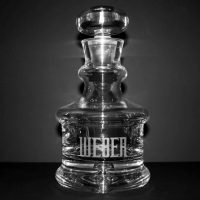 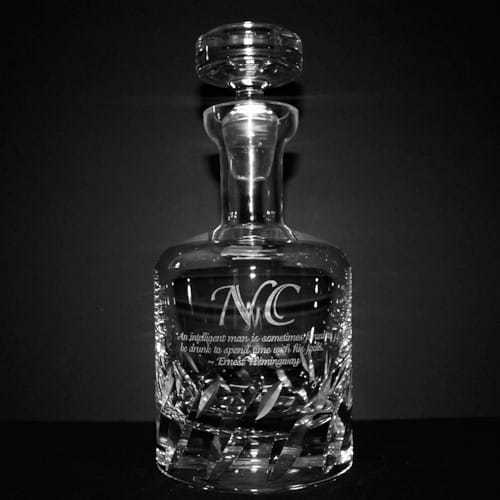 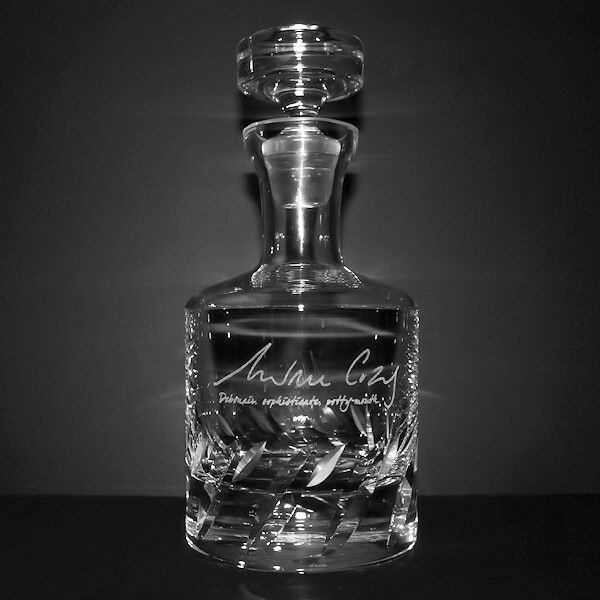 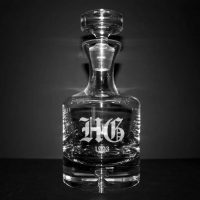 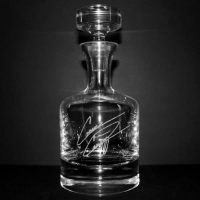 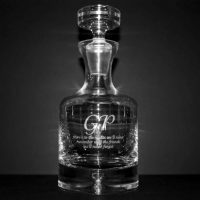 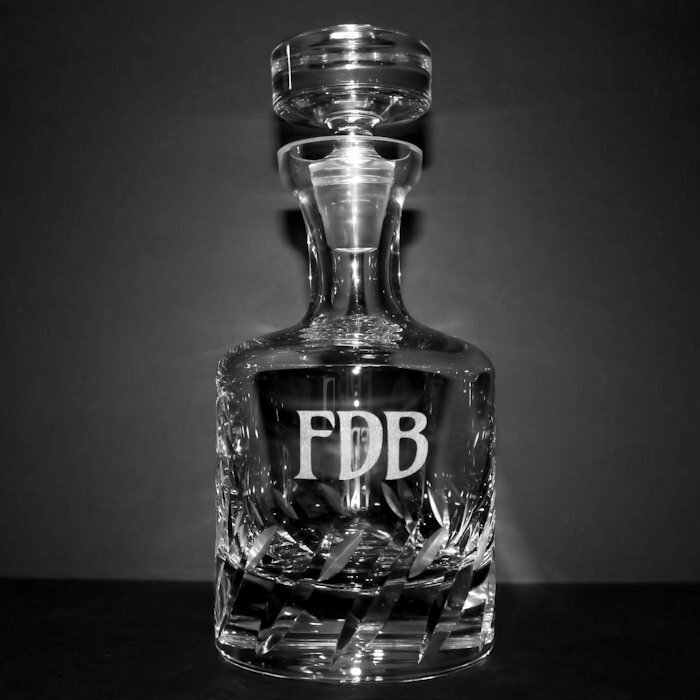 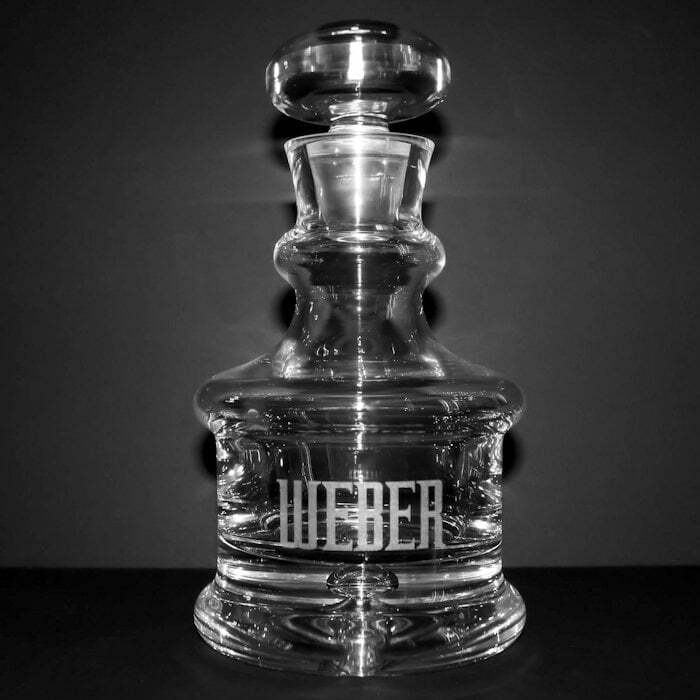 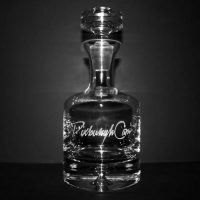 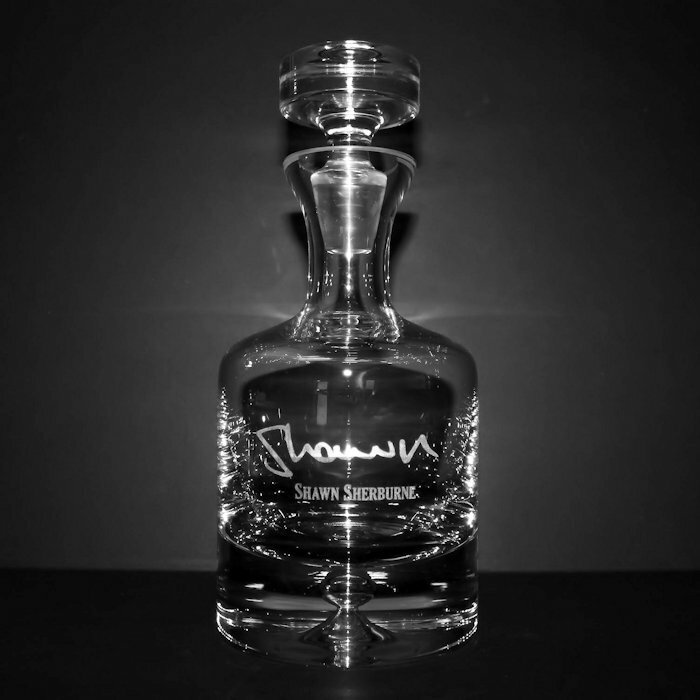 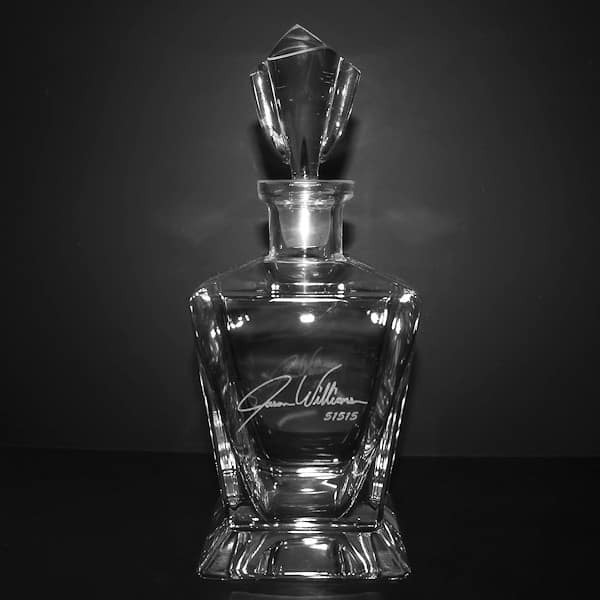 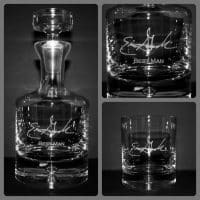 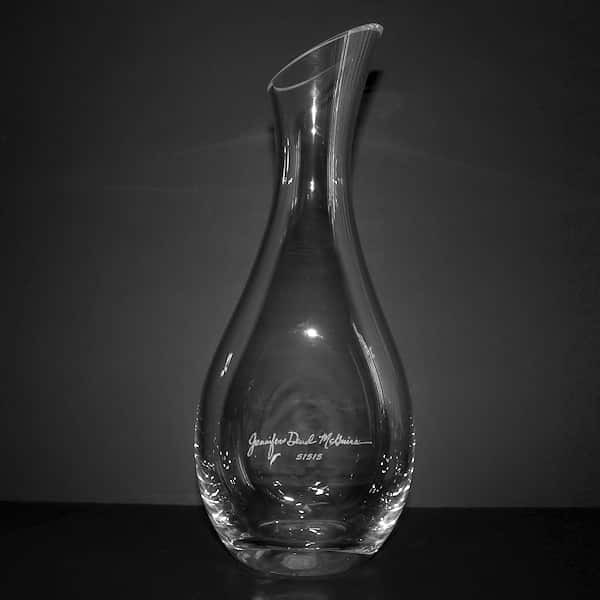 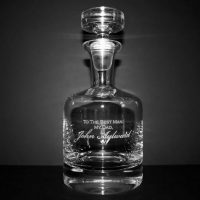 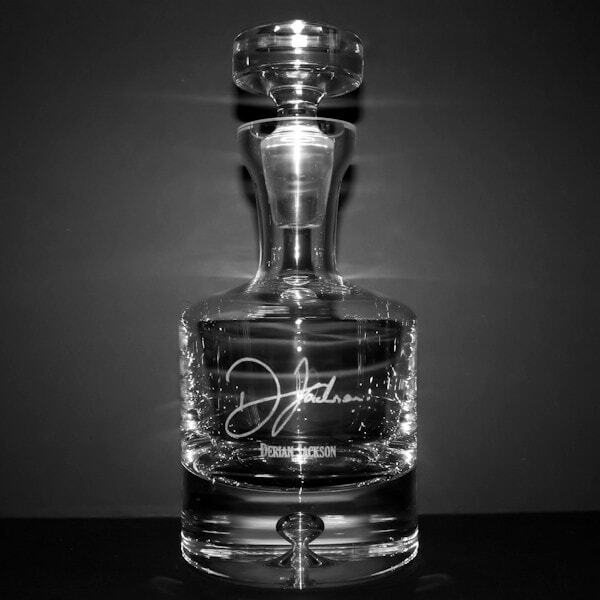 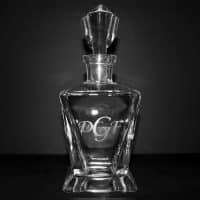 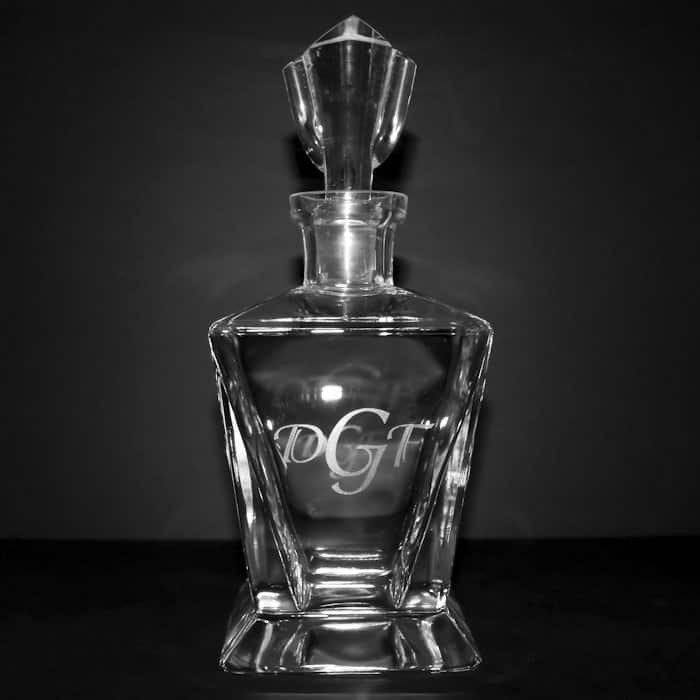 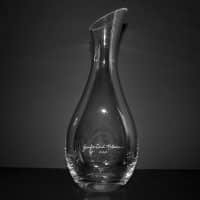 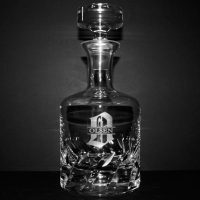 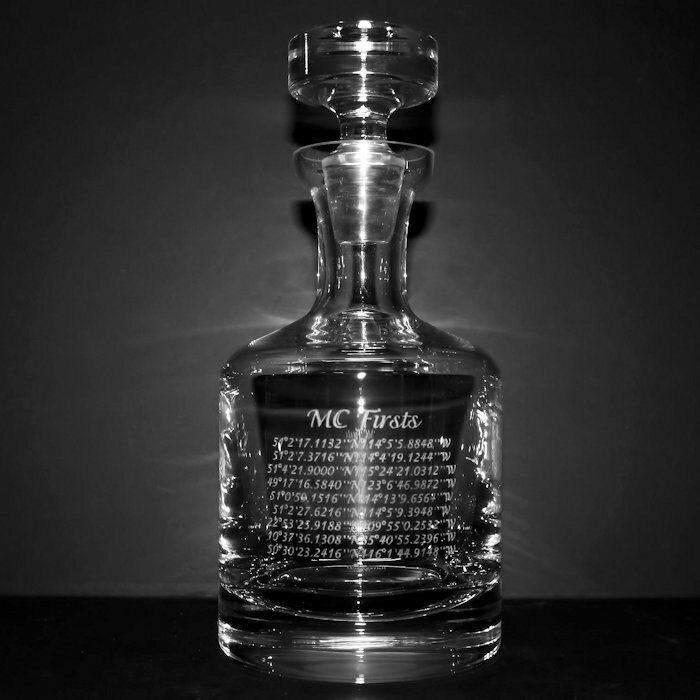 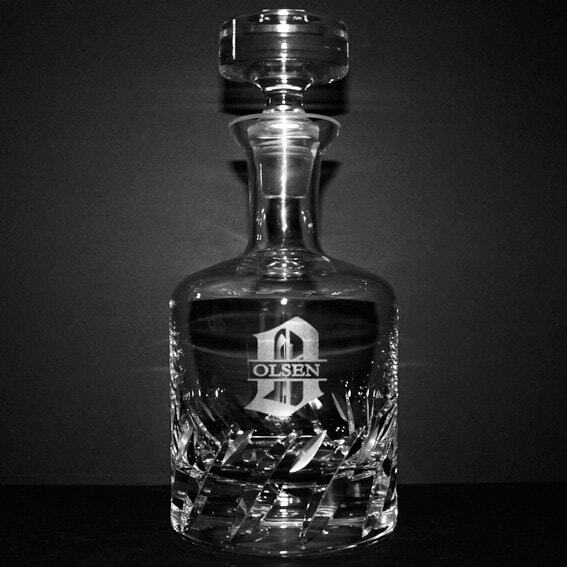 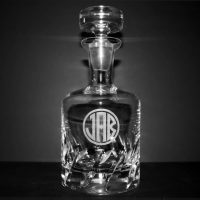 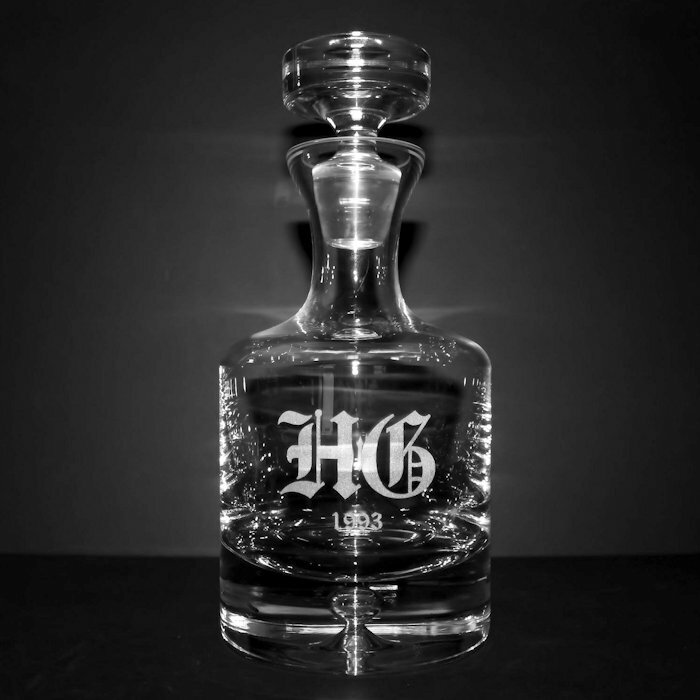 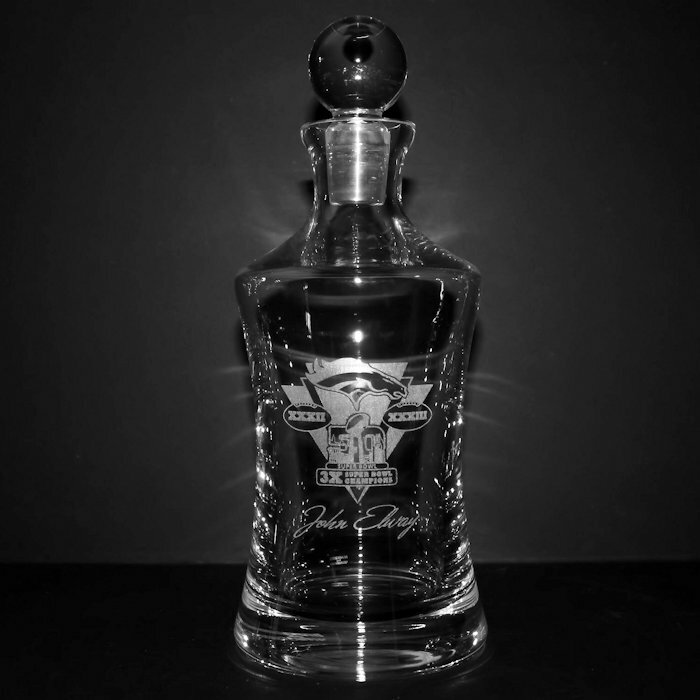 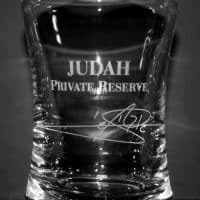 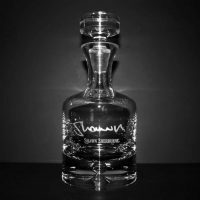 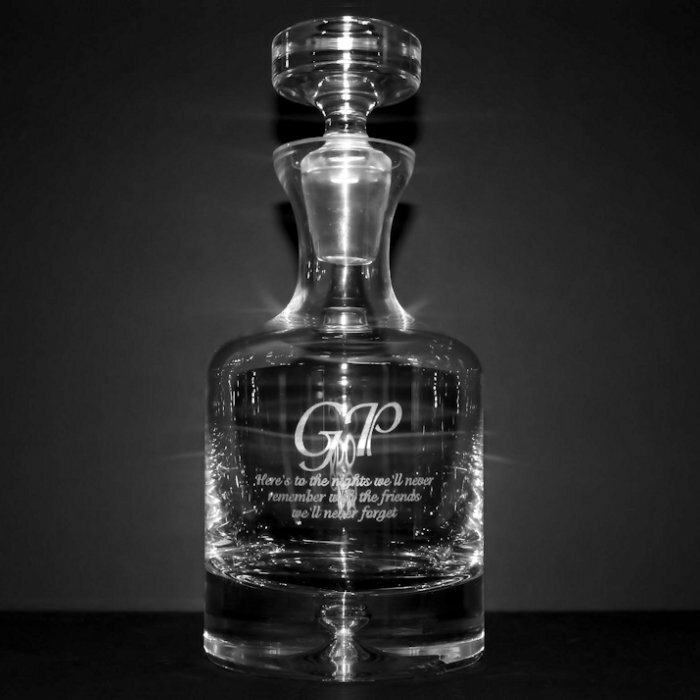 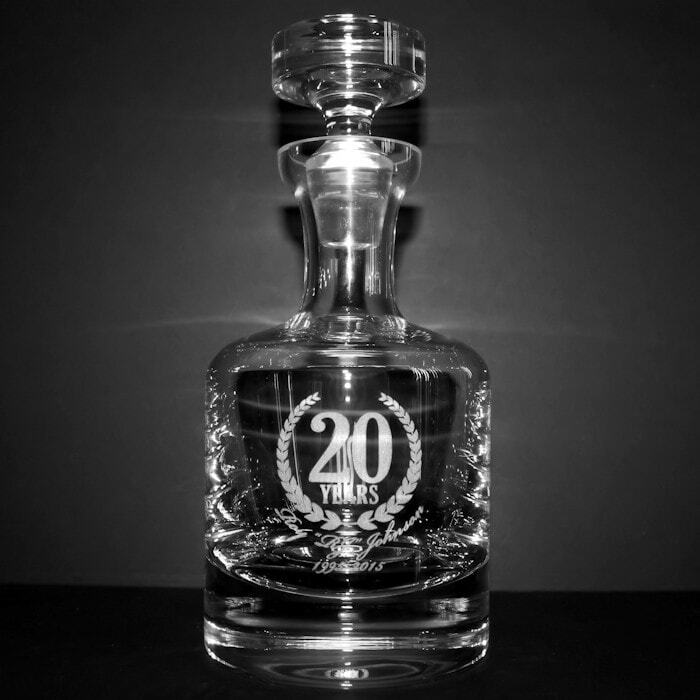 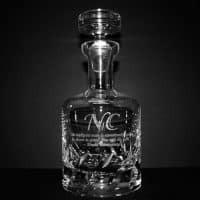 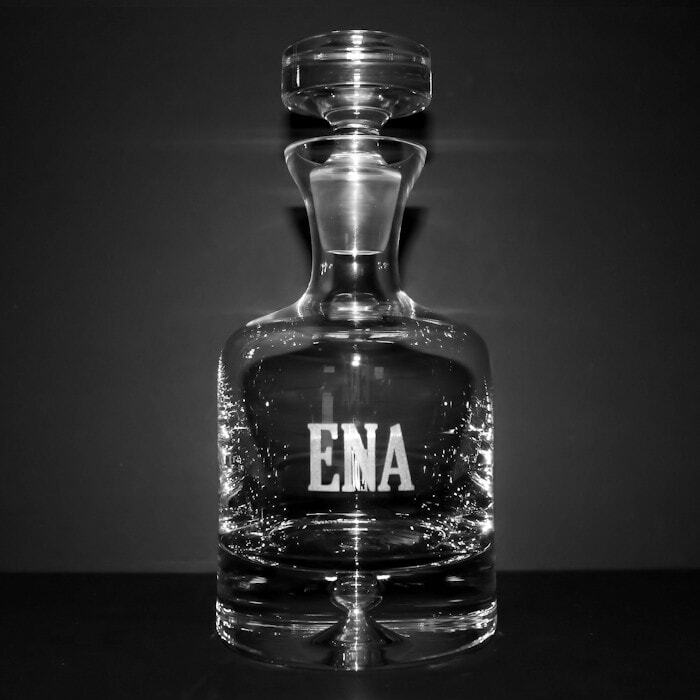 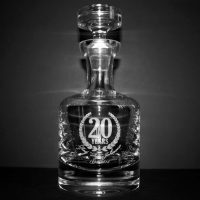 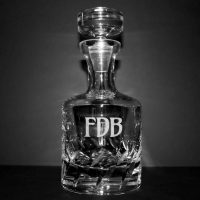 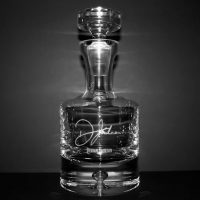 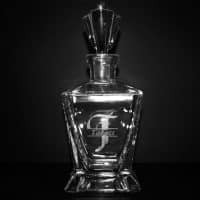 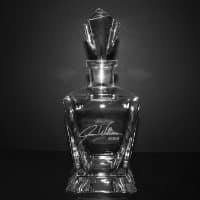 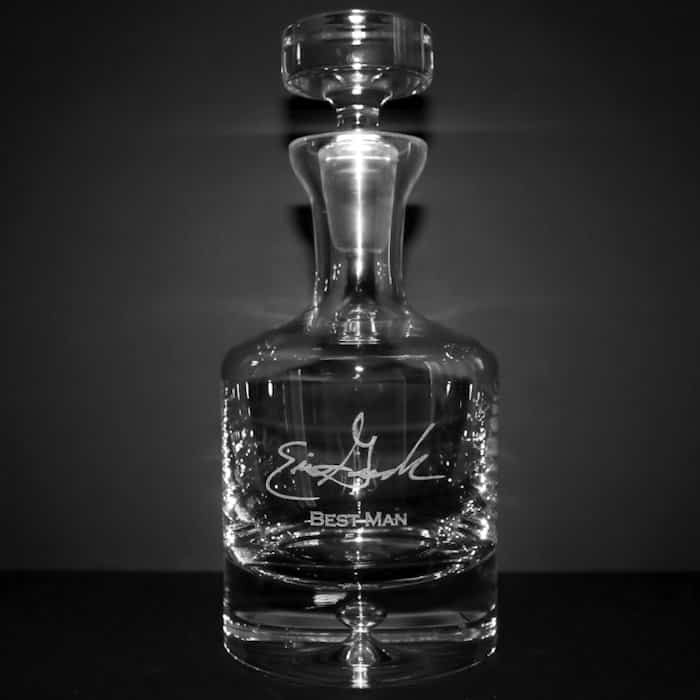 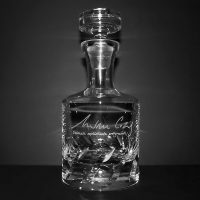 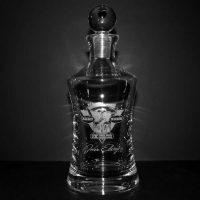 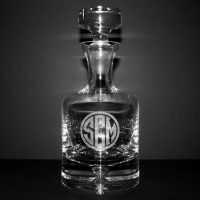 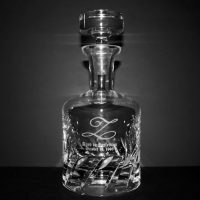 We are proud to provide high quality custom laser engraving for a wide variety of fine crystal decanter, barware and stemware. 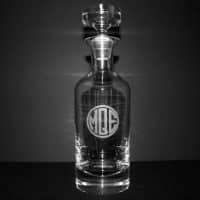 All items are engraved in house and most orders are ready to ship within 1 to 3 business days. 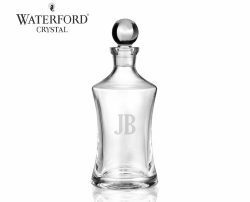 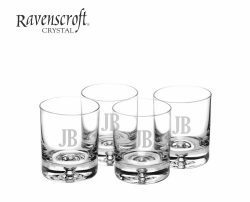 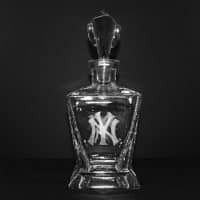 By offering fine crystal products from Waterford and Ravenscroft Crystal we are the leader in high offering personalized crystal gifts. 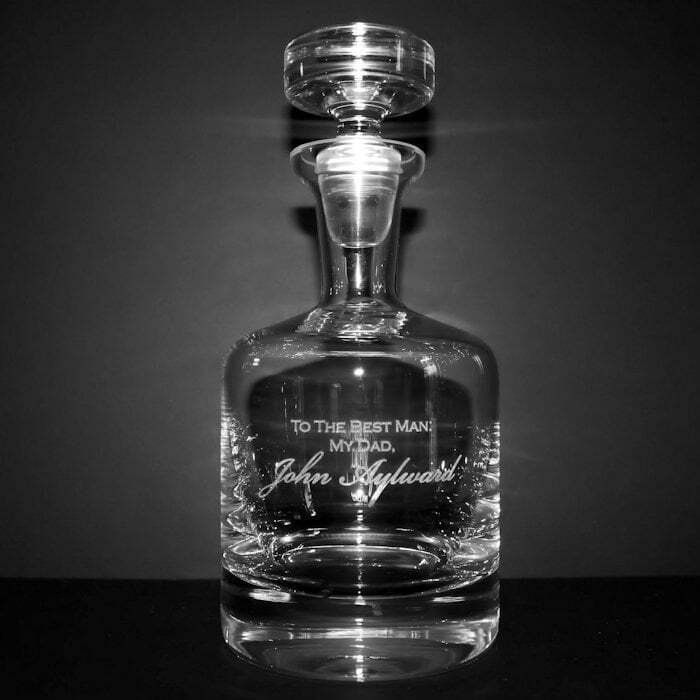 Whether it is your special day or theirs your gift will go far beyond the party and stay with the memories. 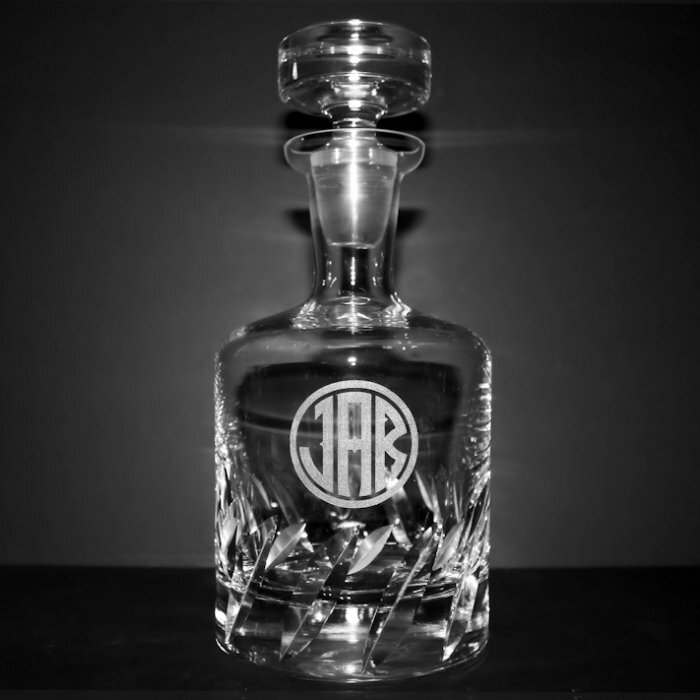 Engraving options include signature engraving, logos, monograms, initials and a selection of design templates. 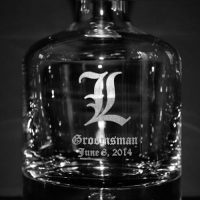 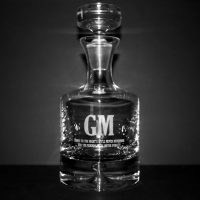 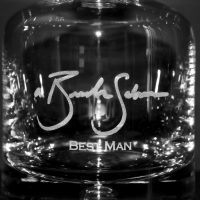 We use a computerized laser engraving process that creates a permanent frosted white engraving mark against the clear background. 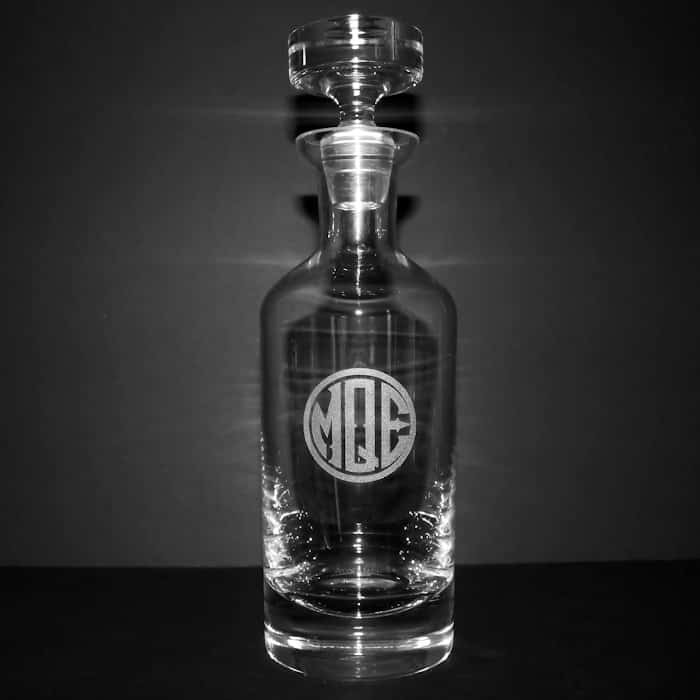 As opposed to sand blasting, this highly accurate method of engraving does not create a deep groove but lightly etched the surface of the crystal, allowing us to work with even the most intricate and highly detailed designs. 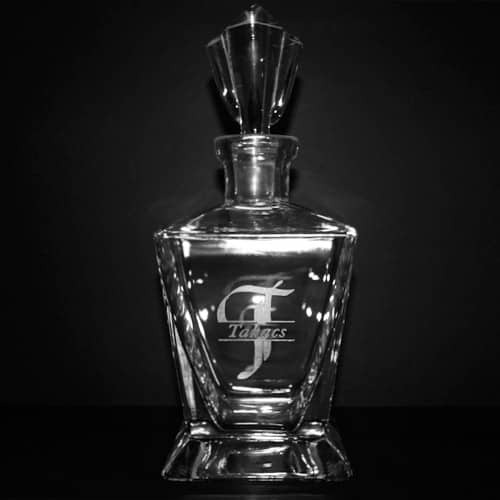 As a result of our crystal products are engraved rather than printed or color filled, the engraving mark will have a uniform, frosted white appearance against the clear crystal background with t lightly textured feel to the touch. 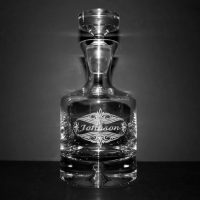 As such, when working with logos, we are unable to re-create different colors or gradients therefore all artwork will be represented in a single color clipart/lineart format. 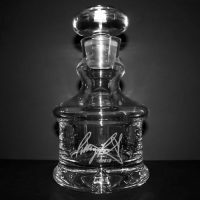 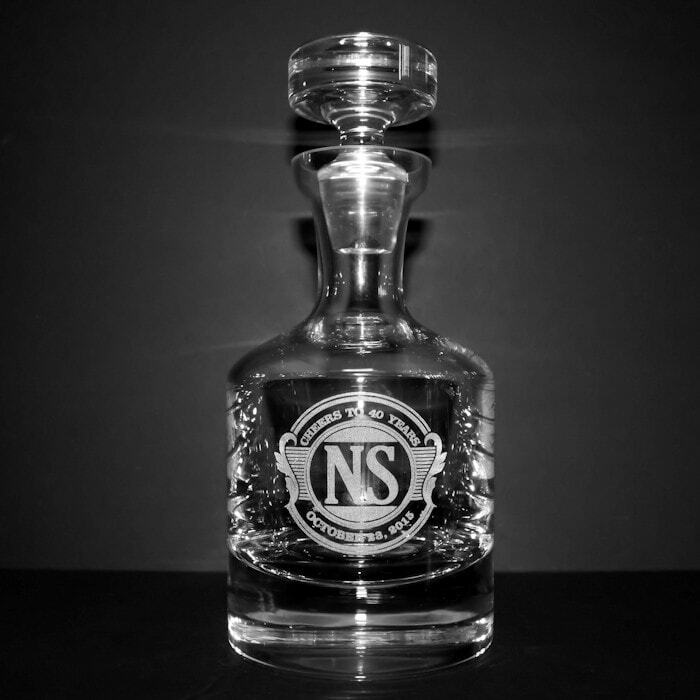 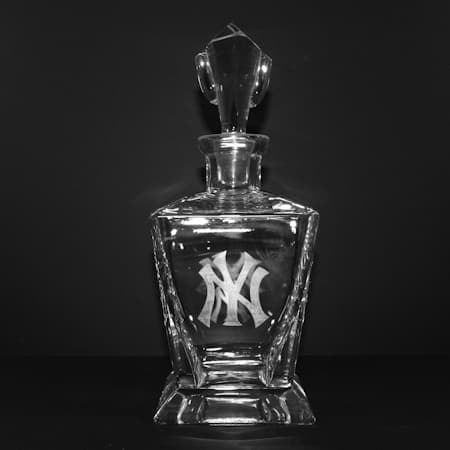 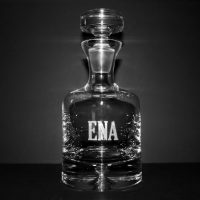 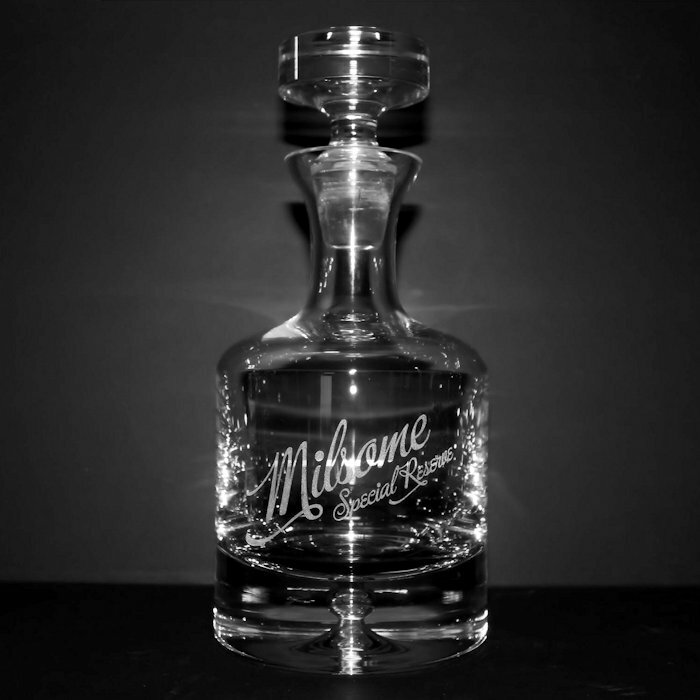 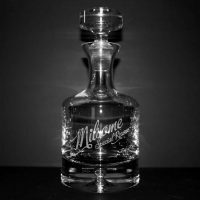 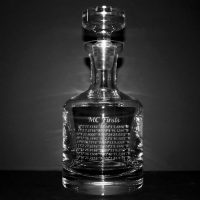 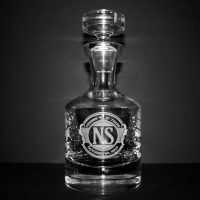 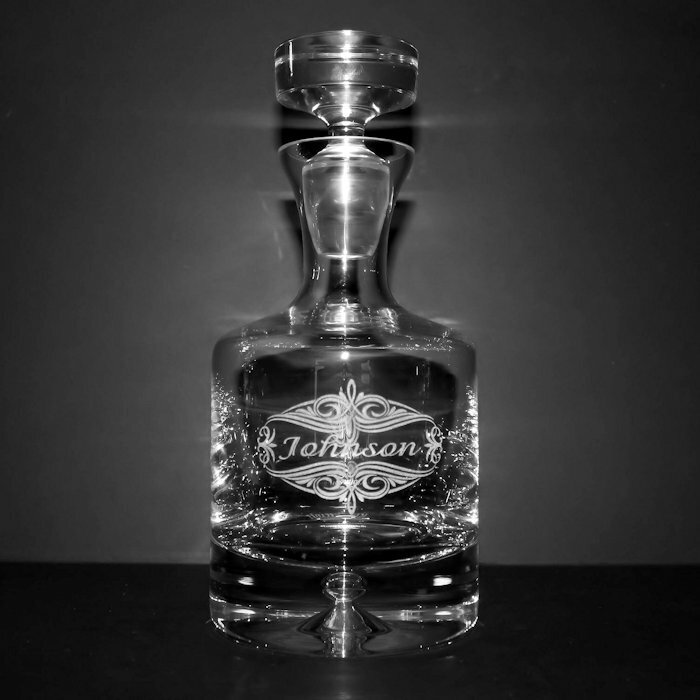 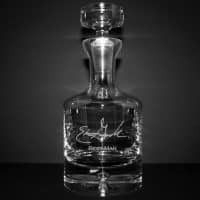 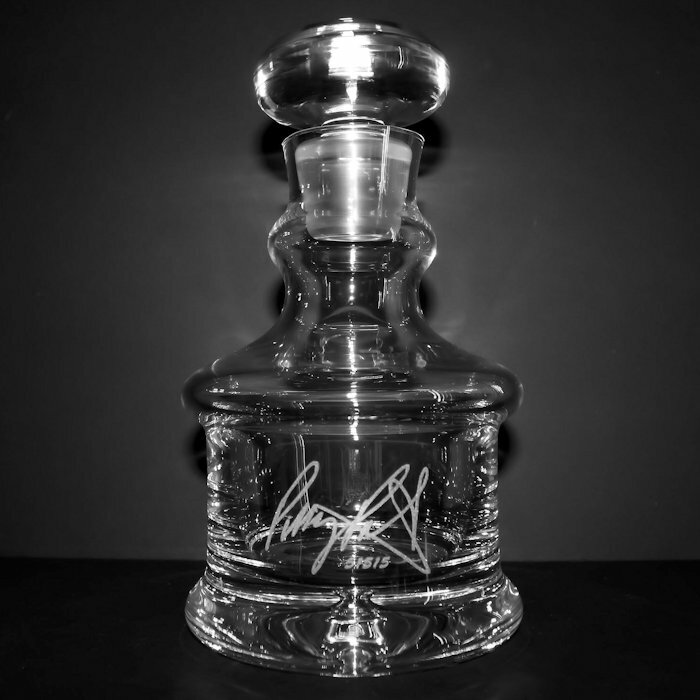 Browse our selection of engraved whiskey decanters and barware. 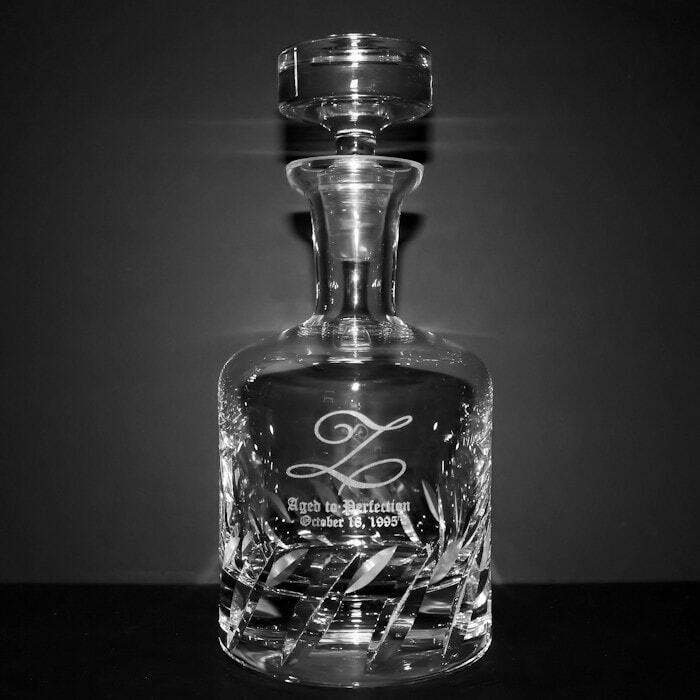 Transform your gift into a treasured keepsake. 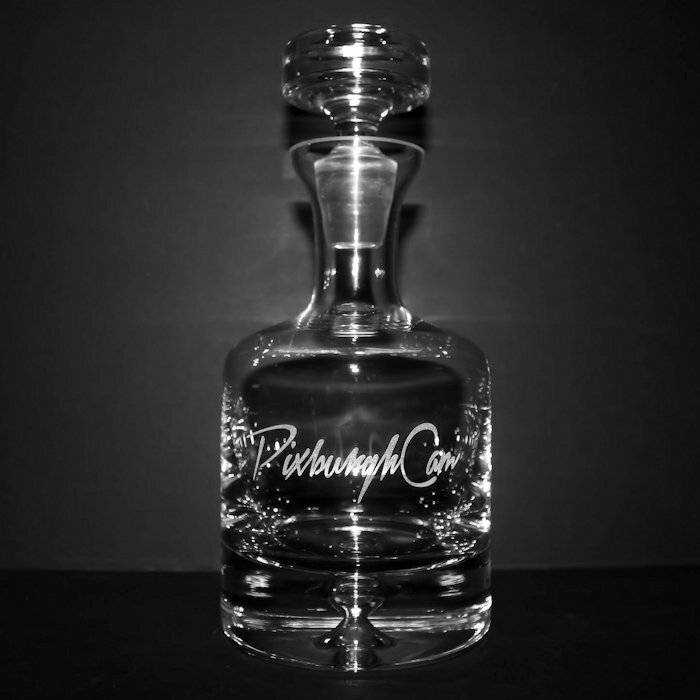 Standard production turnaround is 1 to 3 business days from order date. 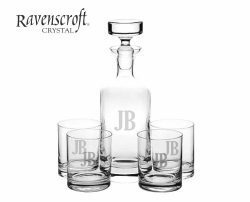 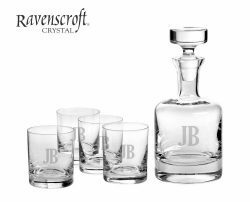 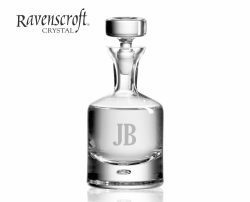 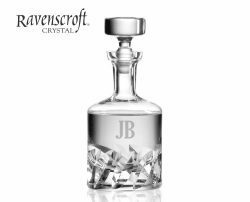 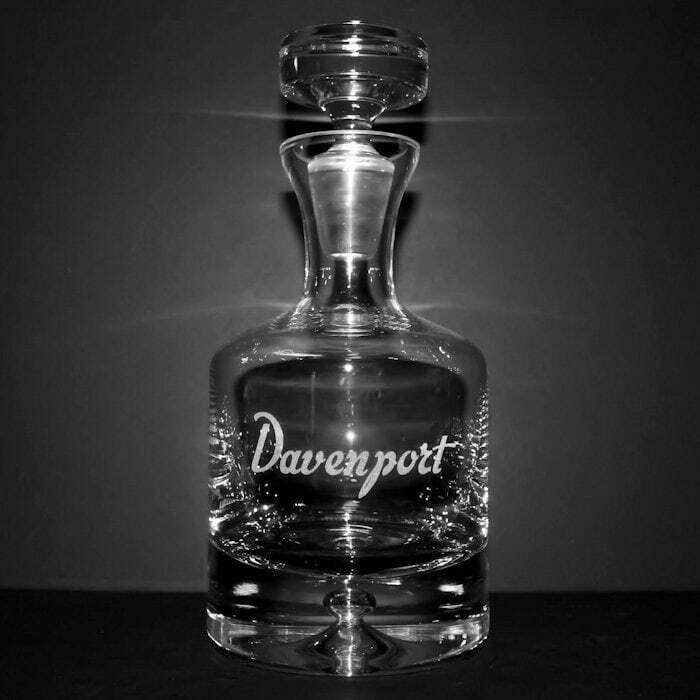 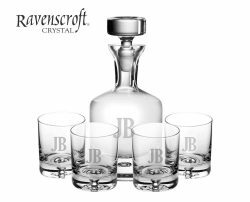 When available, Priority Order Processing (order ships within one business day) can be added to the order during checkout to most Ravenscroft Crystal decanters and glasses. 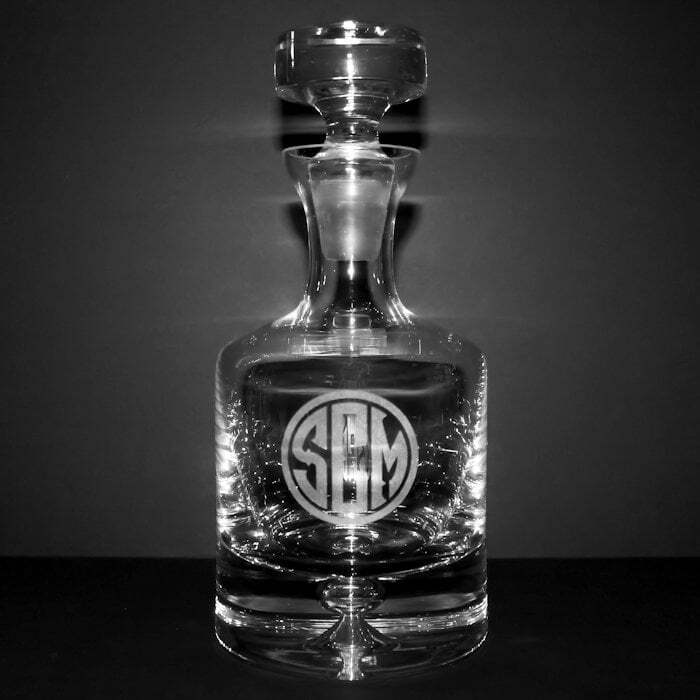 As a result of our crystal products are engraved rather than printed or color filled, the engraving mark will have a uniform, frosted white appearance against the clear crystal background with t lightly textured feel to the touch. 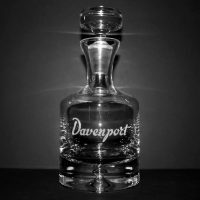 As such, we are unable to re-create different colors or gradients therefore all artwork will be represented in a single color clipart/lineart format.